Let's explore how organizations are using AIOps to solve these issues, let’s first define what AIOps is and isn’t. Over the past couple of months, you’ve heard (and read) how and why we think Artificial Intelligence for IT Operations (AIOps) is necessary for organizations to take the next step in their digital transformation. The truth is AIOps isn’t a panacea for all that ails IT Ops – or even enterprises. However, the problems that it solves – and the agility that it enables, deliver the sort of real-world results that are immediately needed to keep up with today’s market demands. In fact, AIOps is already being used to solve four issues that are either vexing you now or will do shortly. Before diving into how organizations are using AIOps to solve these issues, let’s first define what AIOps is and isn’t. AIOps is a framework that leverages big data and machine learning (or artificial intelligence) to drive automation. You’ll notice that data is at the cornerstone of the definition – and for good reason – it’s perhaps the most important factor in whether AIOps works well or not at all. Regardless of any advanced neural net that is applied, it’s the data that matters most; which is why Gartner says that 79 percent of data scientists’ time is spent on collecting and preparing the data. 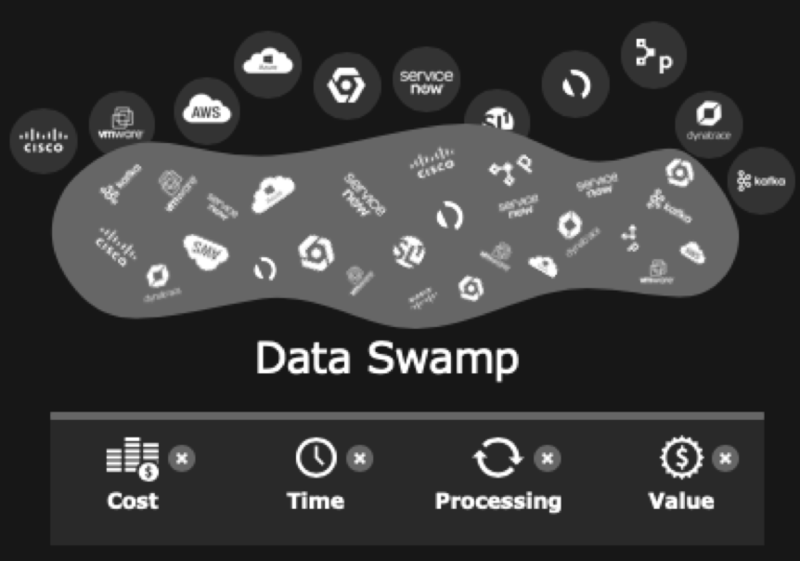 We recently took an unofficial poll of data scientists and found that the reason they spend so much time on data preparation is because their current data lake more closely resembles a data swamp. They are inundated with data that seems to come from everywhere within their IT ecosystem – and it’s getting pooled together where it’s subject to duplication, misalignment, and misclassification, which ultimately costs their organization time and money. While they are awash with data, very little of it is actionable. Every CIO wants to know how their business services are performing. Rather than offering a superficial response of “working or not,” they need to know how well everything is performing as well the health, availability, and risk of key IT and business services. Acquiring the type of insight necessary to provide this information is difficult and costly to achieve with legacy monitoring tools because they either provide incomplete coverage (especially true with multi-cloud and container technology) or require too many point tools, each with its own “common” data model that cannot enable automation. An understanding of the relationships between each element within a business service gives CIOs visibility into the health of key services, without the ‘noise’ related to individual device metrics. If there’s an application outage, legacy APM tools might miss it. Typically addressing only 5-10 percent of apps in service, legacy tools often leave users with glaring blind spots, despite costing as much as $200 – or more – per server, per month! Eliminating application blind spots requires complete insight and understanding of which app components rely on what infrastructure and the context to see how they all relate together. By possessing the ability to map your applications to all of your infrastructure – and not just one app – you’ll have the insight necessary to prevent blind spots. For most, the CMDB is an annoying necessity. Responsible for maintaining configuration item inventory and relationships, the CMDB is only as useful as the accuracy and timeliness of the information that it contains. And in today’s ecosystem where you have virtual technology that appears and vanishes at a moment’s request, it’s increasingly difficult to keep the CMDB updated. And an inaccurate CMDB means you can’t effectively automate, leading to the continuation of painstaking manual processes and a wasted ServiceNow investment. 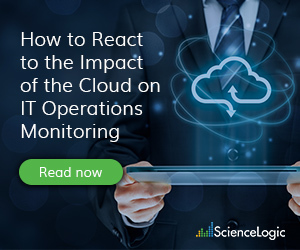 The quest for traditional infrastructure visibility is nothing new, but losing insight into cloud consumption exacerbates the issue, often leading to employees unnecessarily using cloud resources, which costs time, money, and productivity. So, how does AIOps solve these four critical issues that organizations around the world are struggling to solve? 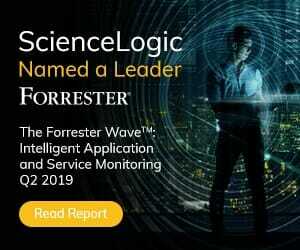 To find out, register for our latest webinar, “Five Steps to AIOps Operational Readiness,” hosted by Peter Luff, Senior Director of Product Marketing at ScienceLogic and John Willsey, Principal Solutions Architect. 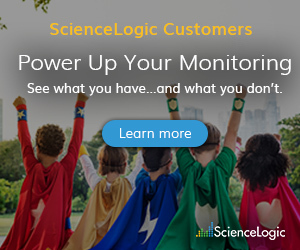 In addition to answering how AIOps works, they’ll also demonstrate how ScienceLogic’s signature platform, SL1, can be used to remedy the four previously mentioned problems and help your organization automate more effectively.